One of the major provisions in the Tax Cuts and Jobs Act (TCJA) that has been getting a fair amount of attention recently is the creation of Qualified Opportunity Zones (QOZ). This provision in the law potentially provides lucrative benefits to taxpayers in the form of tax deferrals and tax exclusions. In layman’s terms, investors who are willing to invest in economically-distressed communities can have their cake and eat it too (and did I mention the cake is calorie free?). However, even with the potential for lucrative tax breaks from investing in these communities many taxpayers are either completely unaware of the benefits or don’t have enough information to make an informed decision. That’s because there simply isn’t enough information out there for many investors to make an informed decision. The Treasury Department recently issued proposed regulations on the new QOZ tax incentives but these regulations are proposals and not final regulations. Until the IRS gives us concrete answers regarding important underlying mechanisms of the tax incentives many advisors are holding off on giving the green light to their clients. What are the QOZ tax incentives? Who can benefit from the QOZ tax incentives? What are the dangers and potential unintended consequences of investing in a QOZ? With that in mind I should at least sell you on why you should, at a minimum, be slightly intrigued in investing in a Qualified Opportunity Zone. So let’s say, for example, you’re someone who is sitting on a substantial unrealized capital gain. Let’s say you own stock, bitcoin or even a piece of expensive artwork. If you sell that investment you’ll owe a considerable amount in capital gains tax. Assuming you have an investment with an initial cost of $1 million and now that initial investment is worth $2million you essentially have $1 million trapped in that investment. If only there was a way to liquidate that investment without realizing a capital gain! Well, if you were to sell that investment and invest in a Qualified Opportunity Zone you could defer the tax until until December 31, 2026. The best part is that you only have to invest the portion of the proceeds attributable to the capital gain (i.e. $1 million). If you hold the investment for 5 years you’ll eliminate 10% of the gain. If you hold the investment for another 2 years (7 years total) you’ll eliminate another 5% of the capital gain. By the time December 31, 2026 rolls around you’ll only have to pay tax on 85% of the original capital gain. In the meantime you’ve been investing the entire $2 million for 7 years instead of the net after tax proceeds ($2 million less the capital gains tax). Essentially, Uncle Sam is giving you a 7 year interest free loan that pays you a 7 year yield of 15%. But wait, there’s more! If you hold that investment for 10 years then you’ll unlock the holy grail of the tax code. If you meet all the requirements and hold the investment for 10 years you won’t have to pay tax on any of the appreciation on that initial investment. If your investment hits it big and doubles in value over those 10 years then you can turn your initial $1 million investment into $1 million in tax free appreciation. The only provision that closely resembles such a lucrative tax incentive is the step-up in basis upon death. But the best part about the QOZ is the fact that you don’t have to die to accrue substantial tax savings. How do I invest in one of these zones? What taxpayers are eligible to invest in these zones? What are the requirements to get the full tax benefits? A Qualified Opportunity Zone (QOZ) is defined as an economically-distressed community, as defined by the IRS, where new investments may be eligible for preferential tax treatment. This definition is not subjective but instead pre-defined – i.e. all QOZs are economically-distressed communities but not all economically-distressed communities are QOZs. Essentially, the Treasury Department allowed state Governors to nominate regions within their state that they perceived as needing the most economic investment. There’s actually an interactive map that shows a block by block representation of what neighborhoods fall within these opportunity zones. In the selection process Governors were directed to use the 2010 census tracks to determine a community’s eligibility to be considered a QOZ. Governors heavily relied on public and local government engagement as well as rigorous analytics to strategically select areas that have high needs as well as high growth potential. Since the eligibility requirements were based off of the 2010 census, state Governors were given some leeway in selecting up-and-coming neighborhoods that one wouldn’t consider ‘economically-distressed’. Take for example Long Island City, the location of Amazon’s new NYC Headquarters, which has an average household income above $70,000. The average poverty rate of the zones selected hovers around 30%. Less than 4% of zones have recently experienced high levels of socioeconomic change. The average median family income is nearly half that of the surrounding neighborhoods located in the same zip code. For all intents and purposes, these regions represent the most economically deprived communities in the U.S. today. To say that investing in these areas would be financially risky would be an understatement (I will discuss more about this in part 3). Choosing to invest in a Qualified Opportunity Zone will be risky, therefore, the rewards better be well worth the risk. To Congress’ credit the tax incentives appear to be quite lucrative. Tax deferral of capital gains until December 31, 2026 if the portion of the gain is invested in an Opportunity Zone. Partial exclusion of 10% of the original capital gain if held for five years and an additional 5% exclusion if held an additional two years. Exclusion of all capital gains from appreciation of an investment in a QOZ if the investment is held for ten years. Let’s say you’ve owned stock in Apple for several years and have substantial unrealized capital gains. You originally purchased the shares for $1 million and now your holdings have grown to $2 million. If you were to sell this investment your $1 million gain would be taxed at the highest capital gains rate of 20%. To defer this tax you could invest the $1 million gain into a QOZ and defer the tax until December 31, 2026 (nearly eight years later). Presumably, that $200,000, you would have otherwise paid in tax, could generate substantial earnings over an eight year period – which could potentially pay for itself. On top of the deferral you have a 10% and 5% exclusion. If you hold the investment in the Opportunity Zone for five years you can exclude 10% of the gain ($100,000). If you hold the investment another two years (seven years in total) you would exclude another 5% ($50,000) in capital gains from the initial sale of your stock. When December 31, 2026 rolls around you’ll only pay tax on $850,000 in capital gains instead of the original $1 million. For the final kicker – assuming the investment in the opportunity fund appreciated over ten years you would not owe tax on that appreciation. Let’s say, for example, your $1 million was invested in real estate located within a QOZ and your investment is now worth $1.5 million. Given the way the regulations are written, this $500,000 gain would be tax free upon disposition. Given this example, investors have a potential to reap substantial tax benefits by investing in a Qualified Opportunity Zone. However, the rules surrounding the way in which funds can be invested are rigid or nonexistent – again, we are still waiting on final regulations as of the date this article is being published. Step 1. Taxpayer must recognize a capital gain on the sale of an asset. Step 2. Taxpayer reinvest some or all of the gain in a Qualified Opportunity Fund (QOF) within 180 days and the taxpayer elects to defer the gain by attaching Form 8949 to their federal tax return. Step 3. The QOF invest 90% of its assets in qualified opportunity zone property located in an opportunity zone or the QOF invests 90% of its assets in a subsidiary that either operates a qualified opportunity business with at least 50% of the gross income derived from the active conduct of a trade or business in a qualified opportunity zone or directly holds 70% of its assets in qualified opportunity zone business property (don’t worry, I’ll explain this part later). Generally speaking, taxpayers can put their own money into a QOF but they only receive the preferential tax treatment through the deferral of a capital gain (as illustrated in the above example). Essentially, in order to take full advantage of these tax incentives you need to have a realized capital gain and then reinvest that gain into a QOF. If you just have cash laying around and you want to invest those funds into one of these zones then you’ll receive no tax benefit whatsoever – not even the 100% exclusion of appreciation if the investment is held for ten years. From a policy perspective this makes little to no sense. If you wanted to maximize the potential investment in these communities you’d assume Congress would open up these tax incentives to all forms of capital and not just capital that is associated with a capital gain. Presumably, Congress needed a funding mechanism (i.e. the payment of capital gains tax in 2026) to meet the reconciliation threshold requirements under the Byrd Rule – to unpack this explanation would require an entire trilogy by itself. Assuming you want to take full advantage of tax incentives you’ll first need to get your hands on some unrealized capital gains. The first step to investing in a QOZ is the deferral of a capital gain that would otherwise be taxable for federal tax purposes. This is an important distinction because deferral of ordinary gains (i.e. sale of inventory held for sale in a trade or business) and excludable gains (i.e. a nontaxable capital gain resulting from the sale of a primary residence meeting the $250,000 exclusion) is not eligible for deferral. To defer the gain the taxpayer has 180 days to reinvest the gain into a QOF and make an election on their federal tax return on Form 8949. The taxpayer may invest all or part of the gain but can only defer the portion of the gain invested. For example, let’s say you have $100,000 in capital gains but only wanted to invest $50,000. Half of the gain will be deferred until December 31, 2026 while the remaining portion will be subject to tax in the current year. What if you wanted to invest more than the gain? Let’s say for example you sold a stock for $200,000 and had a realized capital gain of $100,000 – can you invest the total $200,000? The answer is yes, however, only the portion that is allocable to the gain invested will get beneficial tax treatment. If you were to sell the investment after a holding period of ten years then only half of the investment ($100,000 of the $200,000 initial investment) will receive the tax free appreciation. One additional note – the gain must not arise from the sale or exchange with a related person as defined by the Internal Revenue Code (IRC). The deferral of capital gains is not limited to individuals. In fact, eligible taxpayers also include C Corporations (including regulated investment companies (RICs) and real estate investment trusts (REITs)), partnerships, and certain other pass-through entities, including common trust funds described in section 584, as well as, qualified settlement funds, disputed ownership funds, and other entities taxable under §1.468B of the Income Tax Regulations. Essentially, there are two opportunities to defer the gain – one at the entity level and one at the individual level. For example, let’s say an LLC that’s treated as a partnership for federal tax purposes wants to reinvest the gain from the sale of one of its many properties. The partnership can easily make the investment and defer the gain for all partners in the partnership. If the partnership choses not to invest and defer the gain then the gain will be passed onto the individual partners through their K-1. The individual partners can then invest those funds and defer the gain on their individual return. But what if the partnership realized the gain in January of 2018 and the partner didn’t receive their K-1 until March of 2019 (well past the 180 day cutoff) can they still defer the gain? The short answer is yes! The individual partners have 180 days after the year end of the partnership to reinvest the gains. Ok, now that we covered how to defer the gain and which taxpayers are eligible for the deferral we’ll cover the actual vehicle in which the investments will be made. In order to qualify for the tax benefits taxpayers will need to invest funds through a Qualified Opportunity Fund (QOF). Now, I know what you’re thinking – this sounds like more complexity, more administrative work and regrettably, more accounting fees. Although it may seem daunting, setting up a QOF is quite simple. 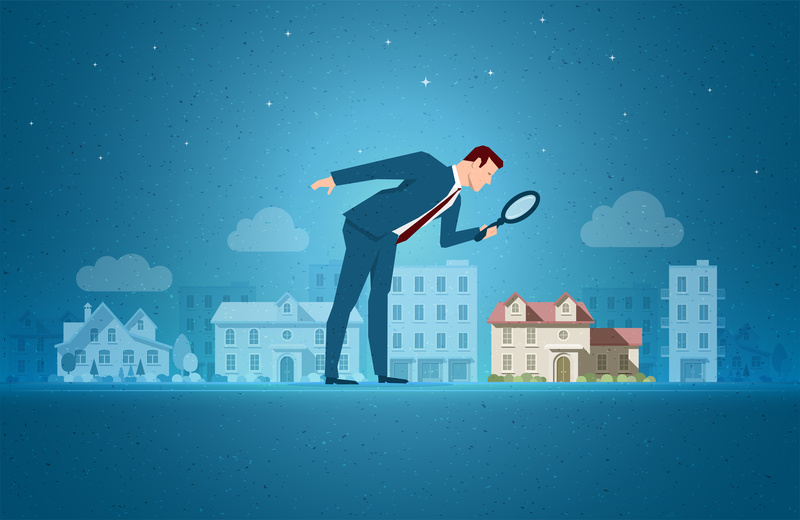 A QOF can be any partnership or C corporation (sorry, no S corps) that is organized for the purposes of investing in a qualified zone property. The taxpayer just needs to self certify by filing Form 8996 and put some language in their partnership agreement or articles of incorporation stating they are forming for the purpose of investing in qualified zone property. It’s important to note that funds invested in a partnership or C corporation before it self certifies as a QOF will not be eligible for tax benefits. This could cause major headaches down the road so taxpayers should file the appropriate forms before receiving any investment. With that being said, setting up a QOF is relatively simple and just requires the filing of one additional form. This provision is taxpayer friendly and doesn’t add any unnecessary administrative burden. The QOF will file it’s annual return like any other partnership or C corporation but just has some added compliance to qualify for all the tax incentives. What is Qualified Opportunity Zone Business Property? To qualify for the full tax benefits a QOF must meet specific requirements during the 10 year holding period. Specifically, Congress enacted rules to ensure QOFs were investing a significant portion of its assets in qualified opportunity zone business property. Not only that, Congress went as far as requiring QOFs to either make new investment or substantially improve property already existing in these zones – investors can’t just buy existing property and hold it for 10 years. To explain this further lets discuss QOF’s investment options. stock of a corporate subsidiary that operates a Qualified Opportunity Zone Business (QOZB), which invests substantially all of its assets in QOZBP. or an interest in a partnership that operates a QOZB, which invests substantially all of its assets in QOZBP. and the property is used primarily within a QOZ for substantially all of the QOFs holding period. I might have lost you so let’s make this super simple. The first requirement is fairly straightforward – the QOF must purchase tangible property (property you can actually touch) after December 31, 2017. Next, the property must be either new property placed into service in the QOZ or existing QOZ property that is substantially improved. Congress specifically added this requirement to prevent investors from buying existing property and sitting on it for 10 years. For example, you can purchase used or new equipment that exist outside the opportunity zone and place it into service within an opportunity zone. Let’s say, however, you want to instead buy real estate property located in the opportunity zone. That will still qualify as QOZBP but you must substantially improve that property. For real estate investors the substantial improvement requirement is extremely important. Since real estate property isn’t as portable as machinery and equipment real estate investors will have to purchase real estate property already located within an opportunity zone. Since the property is located within an opportunity zone it will have to be substantially improved to qualify as QOZBP. Under the proposed regulations to be considered a substantial improvement the taxpayer must invest more than the original basis of the asset within a 30 month period. If the taxpayer purchased a building then they must invest more than the original value of the building in improvements without consideration of the value apportioned to the land. If the taxpayer purchased a vacant property then the taxpayer must invest more than the original value of the land in constructing a new building. It’s important to note that these improvements must be made within a 30 month period but the taxpayer may choose when that 30 month period starts. To make this easy to understand let’s look at two examples. Example 1: A QOF purchases a property located in an opportunity zone for $1 million. $250,000 of the purchase price is attributable to the land and $750,000 is attributable to the building. After purchasing the building the QOF elects to start its 30 month period for substantial improvement. During that time the QOF invest $750,001 on improvements to the building. Example 2: A QOF purchases vacant land for $1 million. It takes three years before the project can actually commence. After those three years the QOF elects to start its 30 month period and invest $1,000,0001 in the construction of a new building. As noted previously, a QOF can either directly hold 90% of it’s assets in QOZBP or it can hold 90% of it’s assets in a partnership interest or corporate stock of a Qualified Opportunity Zone Business (QOZB). At this point you’re probably pulling out your hair but bear with me. To be considered a QOZB the business must be one in which substantially all of the tangible property owned or leased is QOZBP. For a QOZB this threshold is 70% and not 90%. To be clear, a QOZB is not a QOF and does not need to self certify as a QOF. To make this perfectly clear let’s look at an example. Let’s say an investor is deferring a capital gain by investing money into a Qualified Opportunity Fund. That QOF holds funds from several investors, is setup as a partnership and has self certified as a QOF by filing form 8996. That QOF in turn takes those funds and purchases corporate stock and partnership interest of businesses that own property or conduct a trade or business within an opportunity zone. Under this example the QOF is acting as a holding company which simply invest in Qualified Opportunity Zone Businesses. As long as each QOZB holds 70% of it’s assets in QOZBP then 100% of that interest qualifies as QOZBP at the fund level. In effect these investments can be setup where as little as 63% of its assets are invested in QOZBP (90% at the fund level and 70% at the subsidiary level with an effective threshold of 63%). Any store the principal business of which is the sale of alcoholic beverages for consumption off premises. Now that you know all about opportunity zones, the tax incentives of investing in these zones, what taxpayers are eligible for the tax incentives, how to invest in an opportunity zone and the optimal structure of investing in opportunities zones you should know that the window for investing in these zones is slowly closing. Here are some important dates you should know before considering setting up a Qualified Opportunity Fund and investing in Qualified Opportunity Zone Business Property. 180 Days After Realization of a Capital Gain: This is the amount of time you have to reinvest a capital gain into a QOF to defer the tax and be eligible for the tax benefits. December 31, 2019: The last day you can reinvest a capital gain to meet the eligibility requirements of the total 15% exclusion of capital gain. You will still be eligible for the 10% exclusion until December 31, 2019. December 31, 2021: The last day you can reinvest a capital gain to meet the eligibility requirements of the 10% exclusion of capital gain. December 31, 2026: The last day you can reinvest a capital gain into a QOF. After December 31, 2026 reinvestment in a QOF will yield no preferential tax benefits discussed in this article. December 31, 2047: The last day you have to sell your interest in a QOF to claim the 100% exclusion. If you hold the investment past 2047 you will lose the step-up basis benefit upon transfer or disposition of your interest. Surprisingly there are still rules within the context of the QOZ that haven’t been discussed in this article – for example, the penalties and safe harbor rules associated with a QOF’s failure to meet the 90% investment in QOZBP thresholds. However, for the sake of everyone’s sanity I believe this is a good stopping point. This article should give you a solid understanding behind the fundamental mechanisms of investing in a QOZ. In parts 2 and 3 of this series I will dive deeper into ways a QOF can work for some investors and how it can be a bad idea for others.